According to Chicago-based market researcher firm IRI, Sierra Nevada Pale Ale is a $130 million juggernaut, but “Pale” has diversified and split off in hoppier, bolder directions. It has evolved past its original, caramel malt-driven British template. It has even morphed beyond the brasher, hop-centric American iterations. Name a brewery that opened between 1980 and the early 2000s though, and it most likely featured a Pale Ale prominently in its core line-up—even if that wasn’t the flagship brand. A pungent ode to the most wonderful, lupulin time of the year: fresh hop beers. For this month’s Drink Portland review, that’s Laurelwood’s only-in-September version of Workhorse IPA, also available at the Fresh Hop Fest in Hood River. This cover story in All About Beer (Vol. 32, Iss. 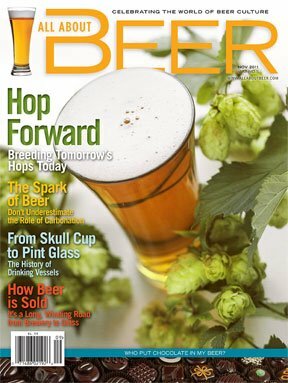 5, 2011) was rooted in some of the entries I wrote for the Oxford Companion to Beer on hop varietals and really learning how long it takes for a new hop to go from a little-hope experiment to A-list hop, essentially, getting to know tomorrow’s hops today. 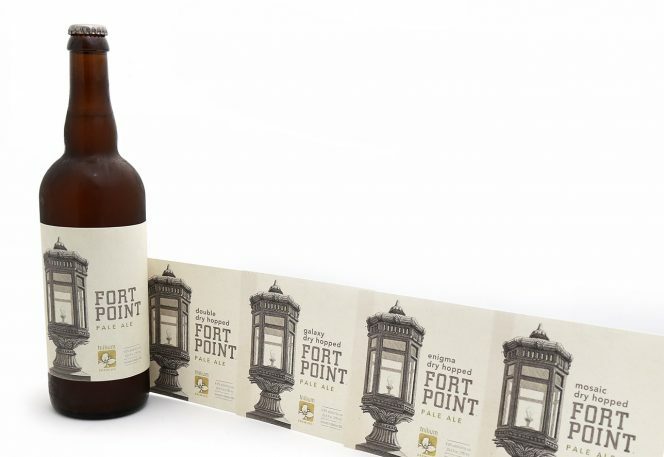 Hop Forward is one of my favorite stories I’ve ever researched’n’written as a beer writer. 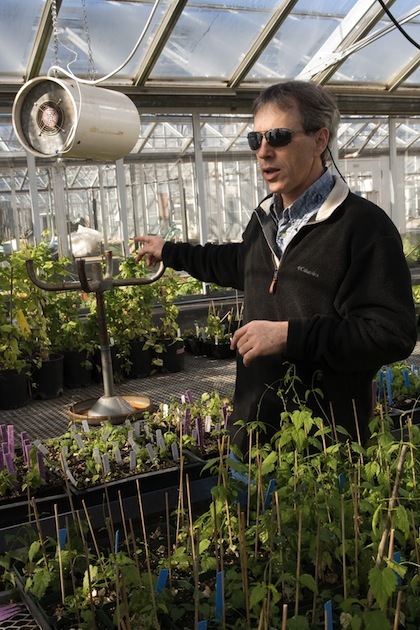 Dr. Shaun Townshend of Oregon State University amidst offspring from the 2010 breeding crosses, grown in partnership with Indie Hops.